Maazi restaurant and Monk Bar have organised an event which will take place at the ever so popular Hall- Leys Park, Matlock. 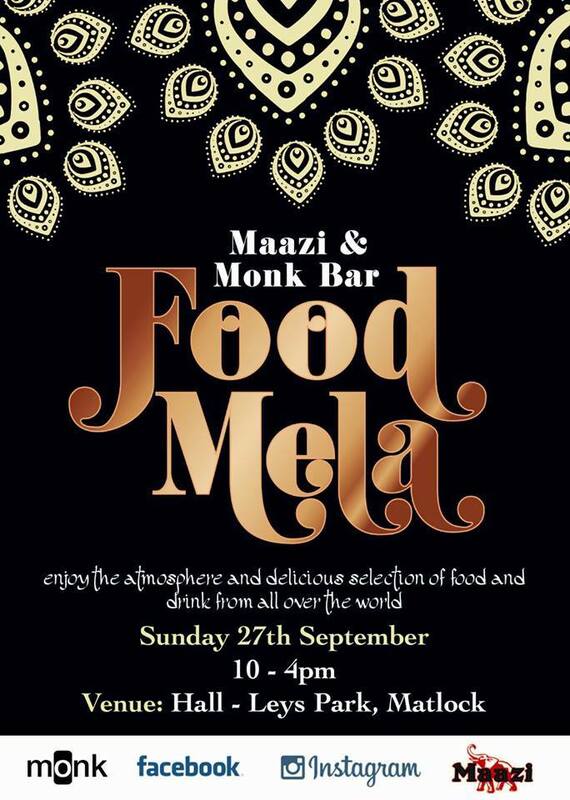 So put Sunday 27th September in your diary as it looks like its going to be a great event, one not to be missed! What an exciting partnership two great businesses, one offering delicious food and one offering super tasty drinks, "drools". If you follow their Facebook page HERE you will be in the know already of what treats are in store if you're planning to attend this event. So you can enjoy the atmosphere and delicious selection of food and drink from all over the world. So if you're anything like me I've just gotten a little "hangry" and raided the biscuit tin...The thought of what the stalls have to offer sounds lovely.